Good morning! This is Fly Charts, the daily charts-only newsletter from Gadfly; sign up here. From tech resilience to Takeda’s ambitious approach, here are four charts that tell you what you need to know in business today. 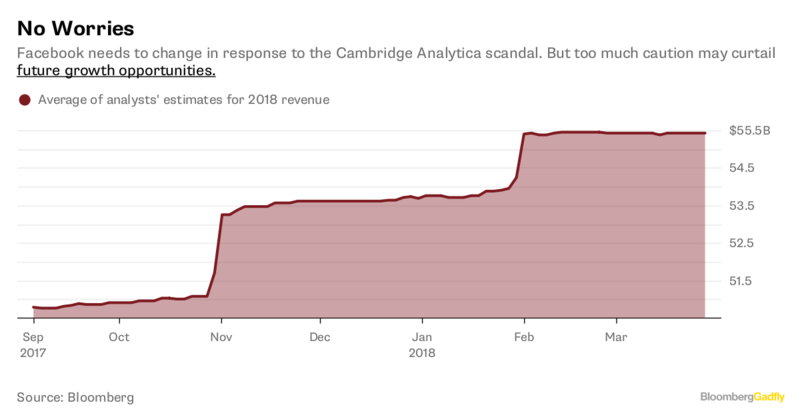 Facebook needs to change in response to the Cambridge Analytica scandal. But too much caution may curtail future growth opportunities. 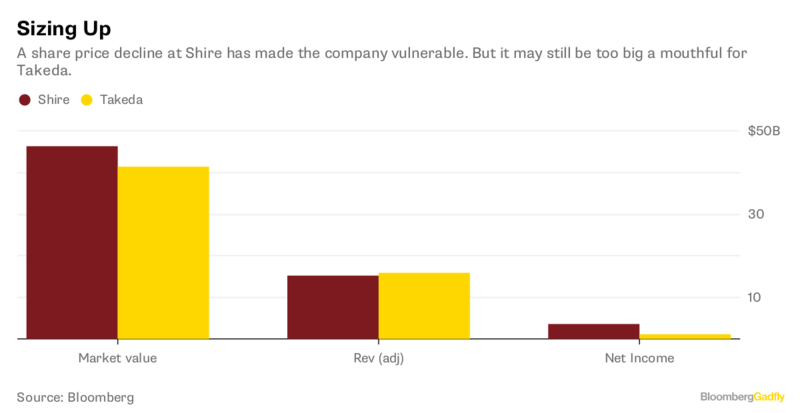 A share price decline at Shire has made the company vulnerable. But it may still be too big a mouthful for Takeda. Tesla’s bondholders have afforded the automaker a lot of leeway. No longer. 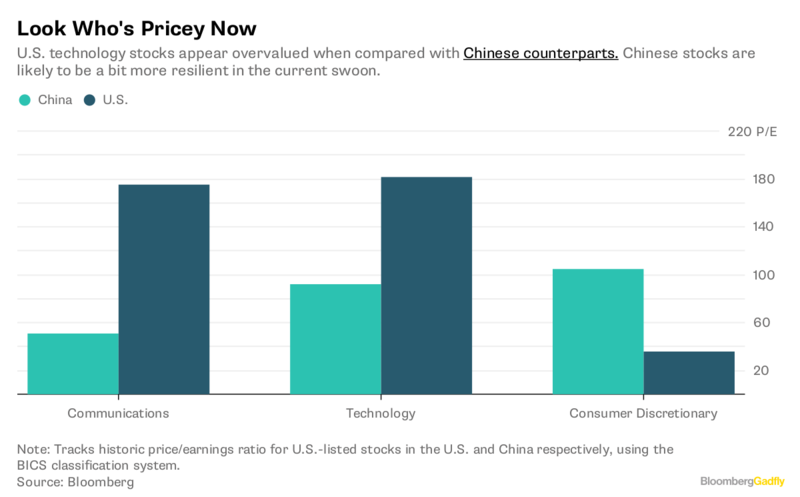 U.S. technology stocks appear overvalued when compared with Chinese counterparts. Chinese stocks are likely to be a bit more resilient in the current swoon.